Daily 2 Cents: Secret Government Underground Facilities -- Alien Encounter in Cumberland County, PA -- The Strangest Stuff You'll Ever Read! The Dulce Underground Base: How Deep Does This Rabbit Hole Go? We’ve all heard rumors of secret government underground facilities such as Area 51 or Cheyenne Mountain, but how many of these facilities could there be, and what is taking place at these bases that is so secretive? Approximately 83 miles (or 134 KM) north-northwest of downtown Las Vegas, Nevada, exists a top secret U.S. military installation dubbed by pop culture as Area 51 but insiders refer to it as Dreamland, the Nevada Test and Training Range, Watertown, Home Base, Homey Airport, or specific sites such as S-2, S-3 and the infamous S-4. The number 51 is only significant to land surveying, since the site exists in the dry bed of Groom Lake on grid square number 51 near the intersecting boarders of three counties in southern Nevada: Clark County, Lincoln County and Nye County. The nuclear testing site located just to the north is, for example, called Area 13, also named for the stretch of land it occupies. Within grid square 51 is a6-by-10-mile block of land, at the center of which is a large air base the government will not discuss. This air base has the longest air traffic runway on planet Earth, but that’s just what is on the surface. When it was constructed in 1955, this base was originally named “Paradise Ranch,” to make it more appealing to construction workers and attract personnel. Located on a remote portion of land along the southern shore of Groom Lake, this detachment of Edwards Air Force Base was originally utilized for the testing of the U-2 Spy Plane. The Special use airspace around the field is referred to as Restricted Area 4808 North (R-4808N). Known as the “Groom box”, this restricted air space measures 23 by 25 miles. 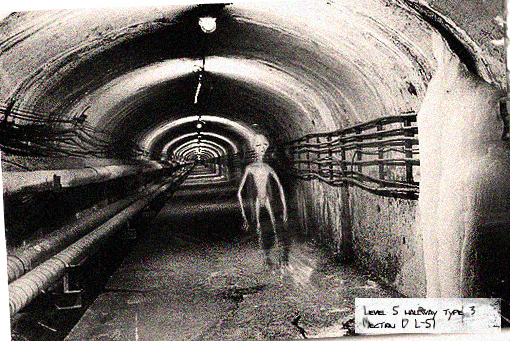 Read more at The Dulce Underground Base: How Deep Does This Rabbit Hole Go? A woman named Theresa called in to share how, back in the 1950s, she and some friends returning from a day of shopping, encountered a UFO and its occupants on the road in Pennsylvania. The Strangest Stuff You'll Ever Read! The series has been continuing for 3+ months. If true, then there are a lot of questions to be answered. The series / thread currently contains 7-parts. Is it the truth or fiction? While no one has been able to provide definitive proof of Bigfoot or any other large, hairy, bipedal creatures, even with long running shows like Finding Bigfoot being devoted to proving Bigfoot’s existence, the searches for, and fascination with, Bigfoot continue. Perhaps it is this elusiveness, along with enough tantalizing evidence and video footage, that keeps Bigfoot at the top of the list of mythical, but possibly real, creatures, Bigfoot shaming others in the category such as the Loch Ness Monster or Chupacabra, with his popularity. But another reason Bigfoot has maintained such a high level of fascination in popular culture is because his existence has been reported all over the world, from swamps and woods across the United States to the high, barely accessible wilds of Canada and Nepal’s Himalaya.